There's no denying the above fact! 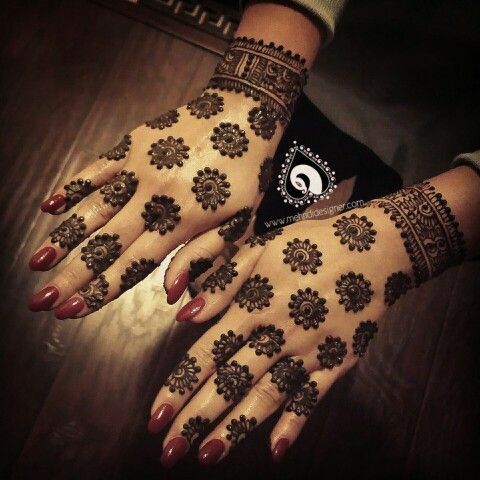 Be it a wedding, a festival or just a normal day, we love applying Henna tattoo on our hands. 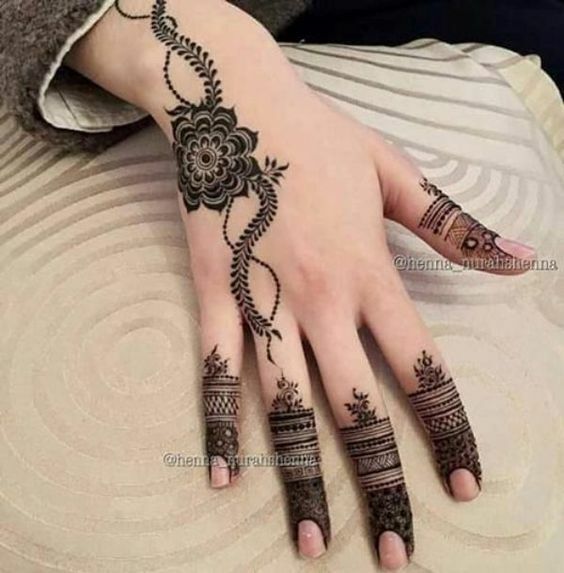 This is the reason why we at Bling Sparkle love coming up with new mehndi design ideas for you lovely folks to get inspiration from! Legend says that the propagators of Mehndi designs were none other than the Mughals who introduced this lovely art to Indians during the 12th century AD. 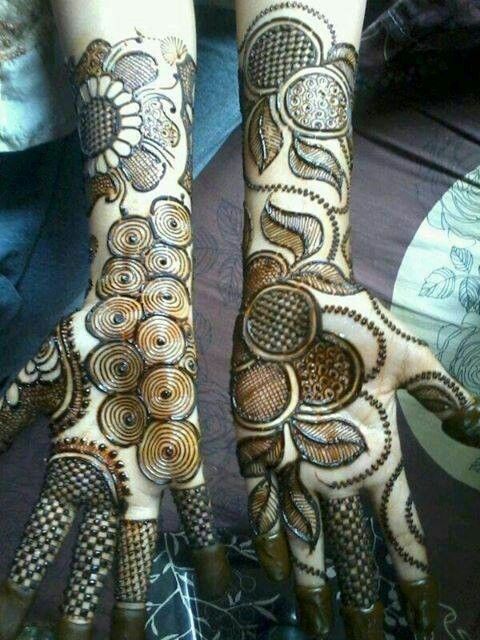 The mehndi patterns made were given immense perfection and produced intricately by skilled artists. 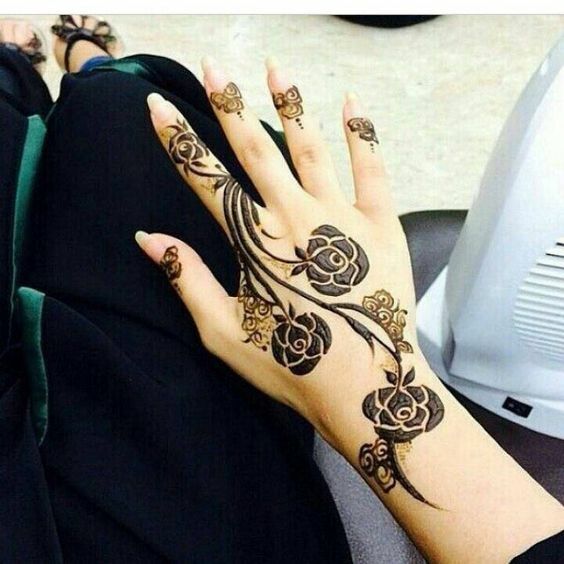 Henna tattoo has been loved and cherished by women all over the world ever since. Did you know one very interesting fact about mehndi? 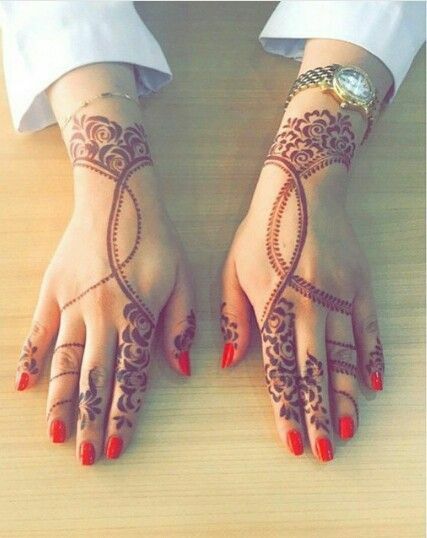 It's said that the origin of mehndi could have been from Egypt because it's said to be one of the art forms in ancient Egypt! 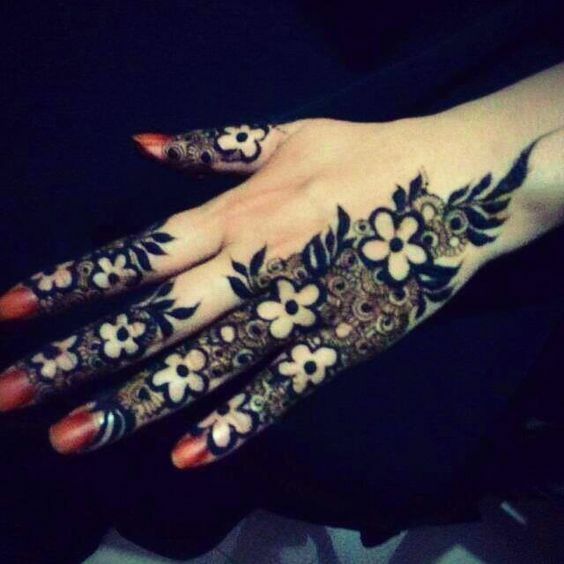 Now without going into more details let's get back to the core of this post - Here's presenting you 25 latest and simply irresistible Floral Henna Mehndi designs to beautify your hands! 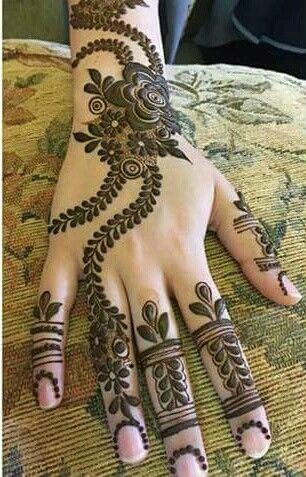 Gloves mehndi designs can never go unnoticed. They exude an irresistible charm and look amazing even without having put much effort. 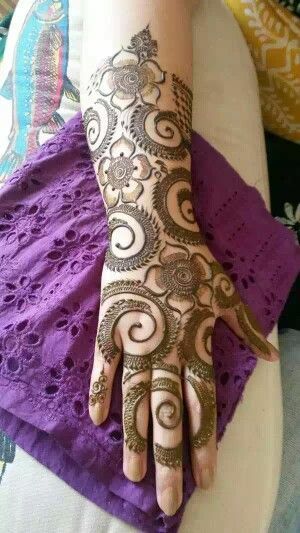 The above mehndi design is very easy to create and will just add beauty to your hands. It's perfect for Bridal and party looks. 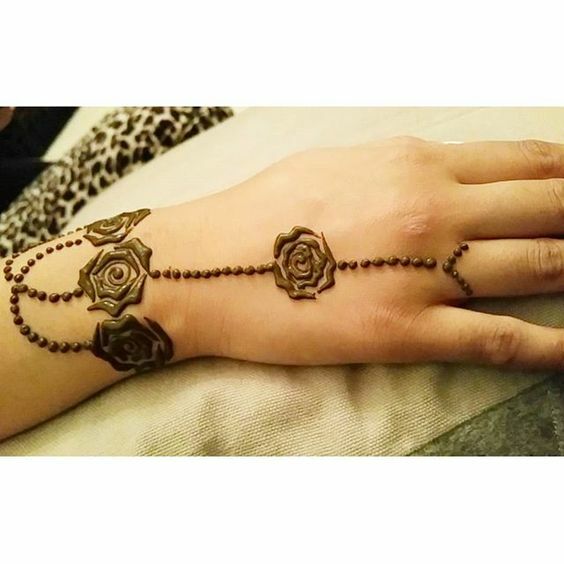 This Rose Henna art will beautify you! This mesh mehandi design can be worn on any occasion and it will go well with both western and Indian outfits. 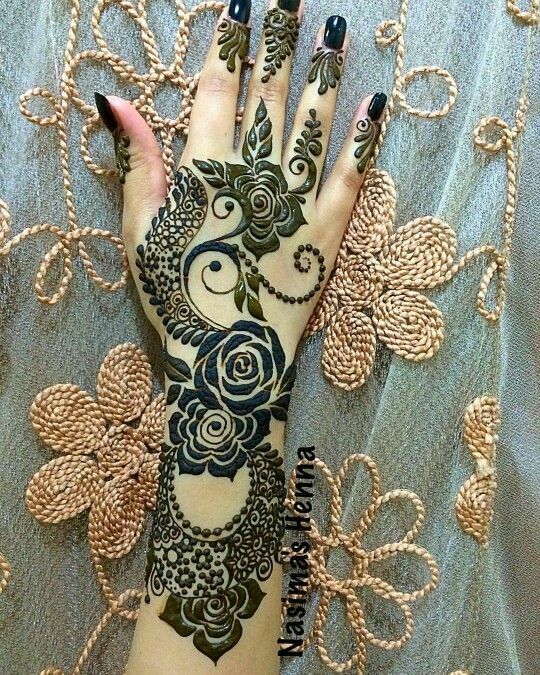 Mehandi designs like these are immediate love for me and I would want to flaunt a Henna design like this all year! 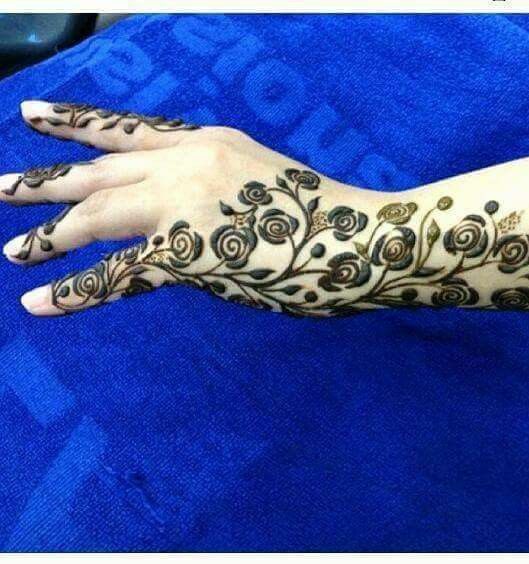 A single Henna vine tattoo pattern has its own charm and can never go wrong if done with care. This is for women who like it simple yet pretty. It will go well with Indo-western outfits and is apt for parties, and fun occasions like Sangeet and Cocktail. Floral patterns go well with any occasions. 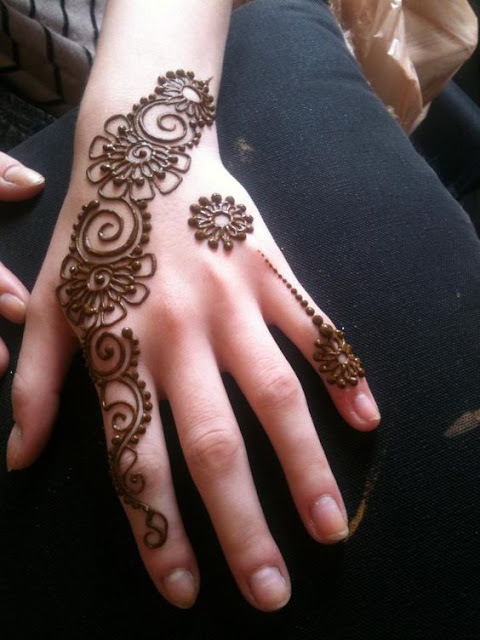 The above Henna design is very easy to achieve and will look fabulous once done. 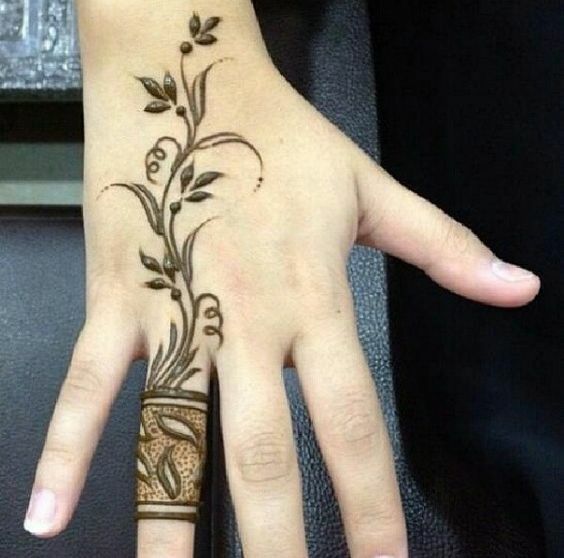 I love how the leaves are the highlight of this mehndi design - so chic! Roses are red but well, they look equally gorgeous in black and orange too! The amazing Henna art tattoo shown above is proof enough. 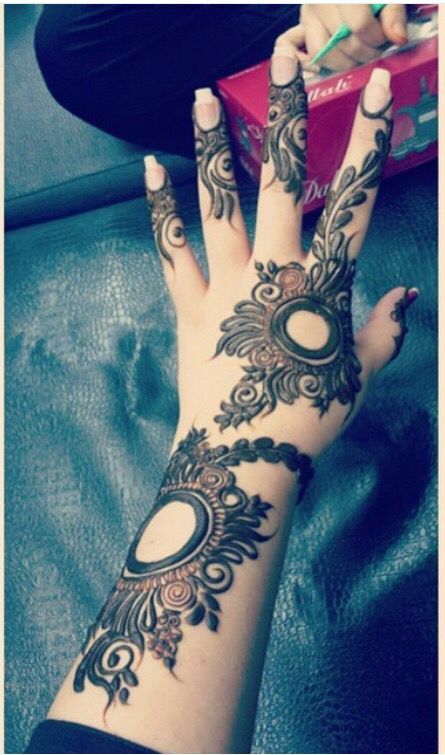 I just can't get enough of Arabic mehndi designs and the above one is beyond pretty! It's something very eye catchy and you should definitely try it and flaunt away! This is one of the best tattoo ideas! 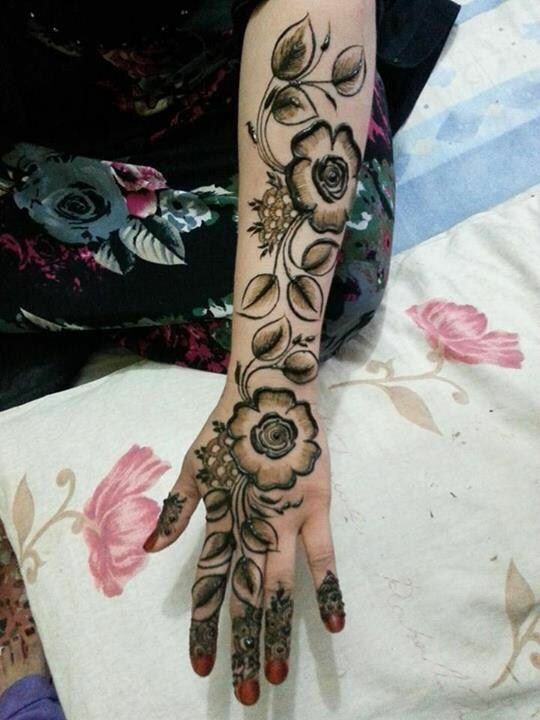 The above mehndi design screams class and elegance. It's so simple yet so irresistible. 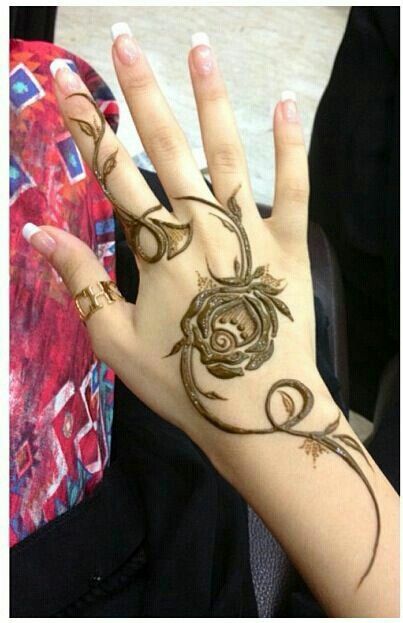 If you are bored of all the classic mehndi designs then go for this simple and classy Rose mehndi design for a change! 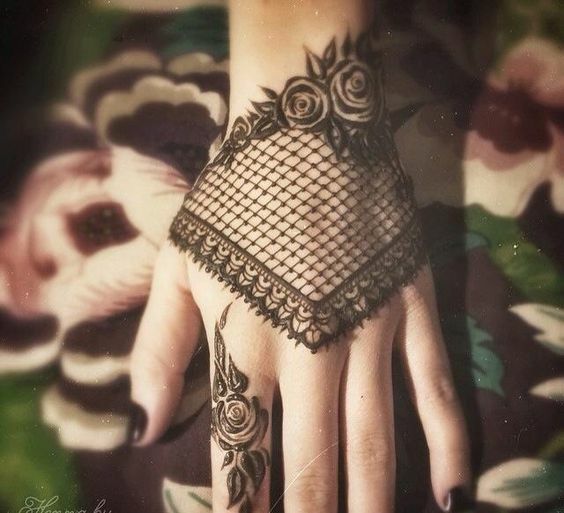 Mesh Henna art looks very chic especially if it has this floral blend to it. 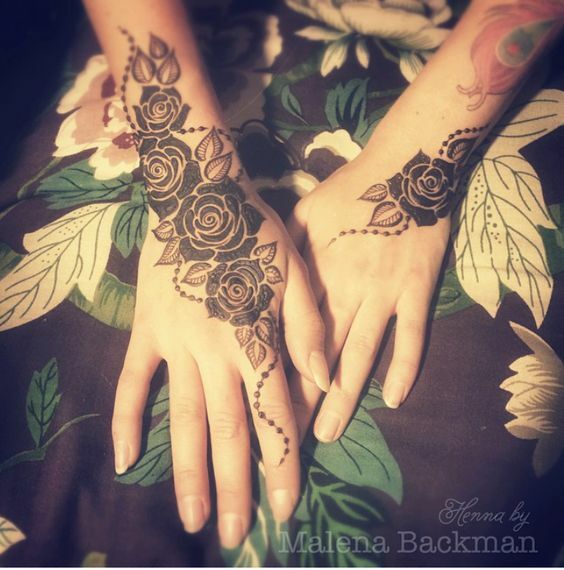 This is another floral rose mehndi design you can adorn on your hands for that out of the world look! When we say latest and new we actually mean it! 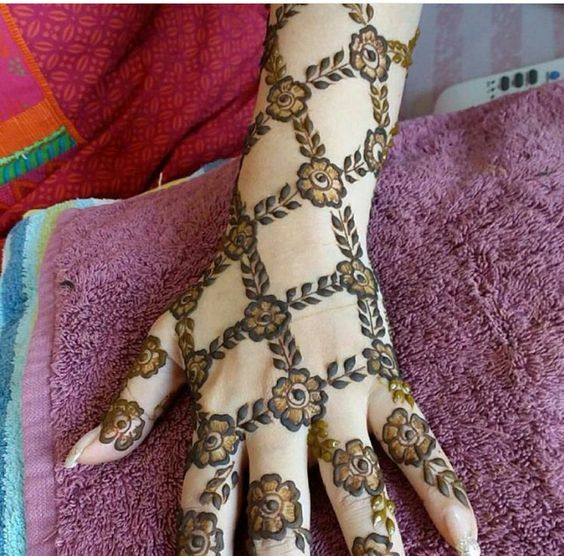 The above mehndi design is something you might have never tried before - more reason to try it out! 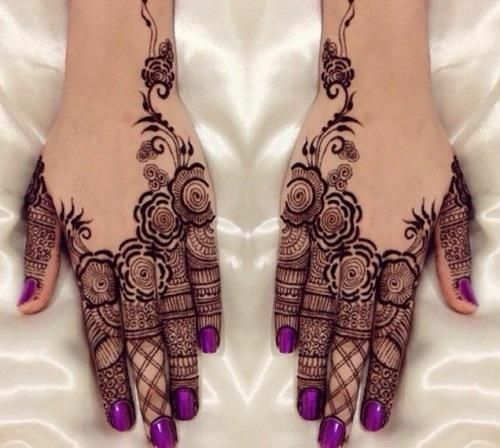 Teaming up your mehndi art with a matching nail polish ups the oomph factor. Go with black or brown glossy nail paint for a classy look. Hathphools are one my favourite pieces of jewelry. 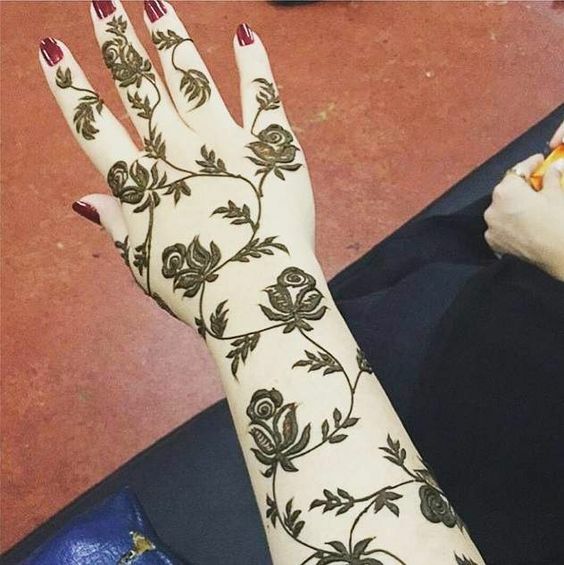 If you like them too you can take inspiration from the above picture and create a Hathphool look alike mehndi art! 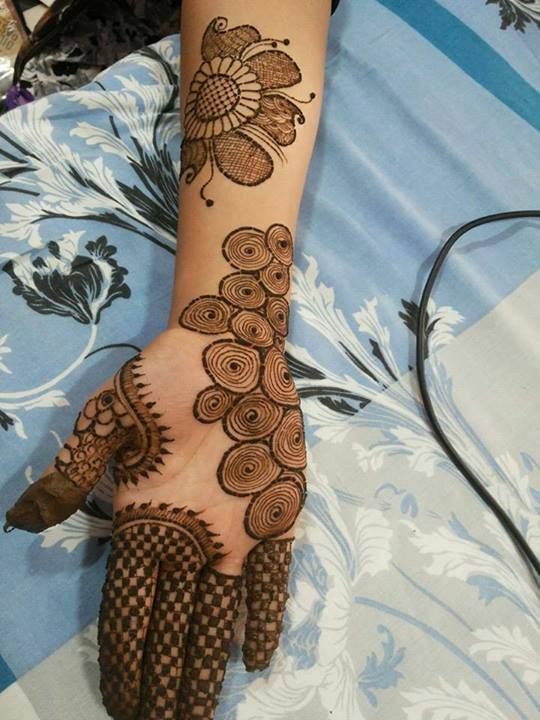 Floral Henna tattoo never gets out of fashion and the above chic mehndi design is a lovely choice for weddings, mehndi celebrations, sangeet, Eid, party and even Valentine's day! Tribal art has made a huge comeback and the above gothic mehndi art is perfect for tribal art lovers. Tribal tattoos look amazing with ethnic suits and you should definitely try them if you haven't yet! 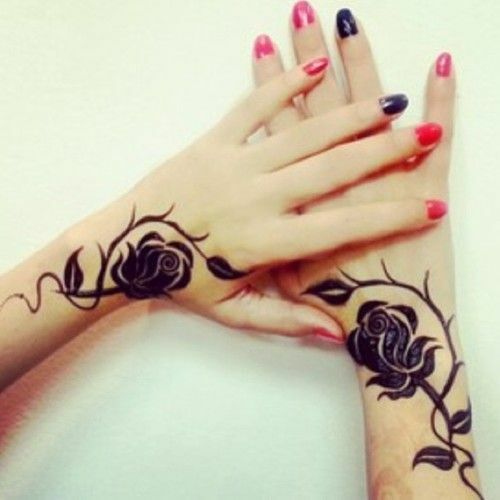 Roses look prettiest in Arabic Henna designs. the above henna design is apt for a Bride who wants to keep it simple yet elegant! This is one of our favourite tattoo ideas for any occasion. This floral tato is simple and very eacy to achieve. 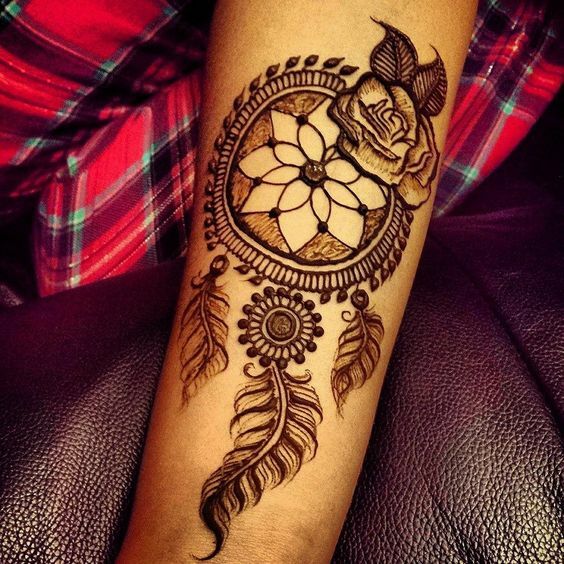 This dream catcher inspiraed mehndi design can be applied anywhere you want to and will give you a dreamy effect. The floral details in it make it simply irresistible!